While users are still debating about the usability of Windows 8, administrators are worrying about the use of Windows Server 2012, which is available either tiled or totally without a GUI on request. Underneath its new clothes, the new Windows Server variant has treasures to offer, as shown by the following tricks. Windows Server 2008 R2 in part already allowed administrators to manage the network with Server Manager. However, that was all fairly rudimentary. For example, Server Manager in Windows Server 2008 R2 could not install roles over the network, and the management of server roles was not very efficient. Windows Server 2012 is vastly improved. For example, in Windows Server 2012, you can install server roles and features over the network on other servers (Figure 1). 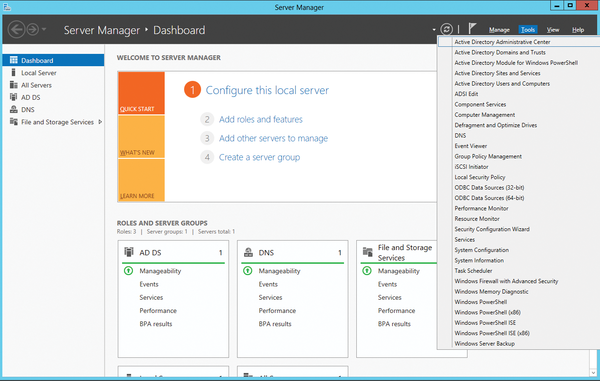 Figure 1: Server Manager in Windows Server 2012 provides centralized management of roles and features. All commandlets for managing NIC teams can be listed using Get-Command -Module NetLbfo. To create a new team, use the New-NetLbfoTeam <team name> <Network Interface Cards> commandlet. A list of comma-separated NICs is required here. Windows Server 2012 removes the IP binding from the physical network interface cards and binds them to the new virtual adapter which the wizard created for the team. You can view the status of the team in the Server Manager Local Server section by clicking on the Enabled link by NIC Teaming (Figure 2). Figure 2: Viewing the NIC Teaming status. If the team and the associated adapters are shown as active, you can adjust the network settings for the team. To do this, open the adapter settings by entering ncpa.cpl on the welcome page. You can then see the new team. 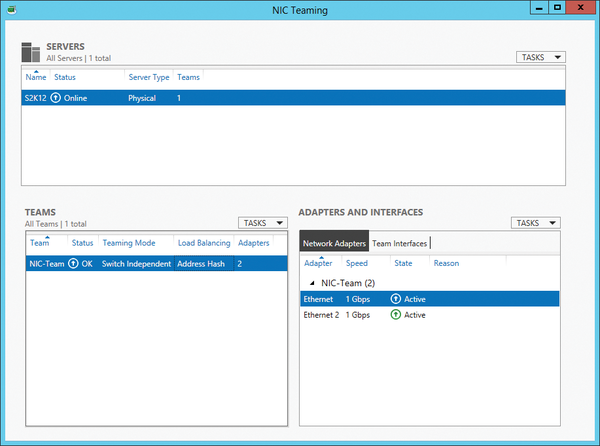 On Hyper-V hosts you can create multiple virtual switches on the basis of the various physical adapters and then create NIC teams within virtual servers. They use the individual virtual switches of the Hyper-V host as their basis. commandlet on the server. This cmdlet checks whether there are applications on the virtual server that do not support cloning. The configuration for cloning is created in the DCCloneConfig.xml file. The sample file, SampleDCCloneConfig.xml, is located in C:\Windows\System32. Before adding the new domain controller to Active Directory, you must copy the DCCloneConfig.xml file customized by the cloning process from the source computer to the folder with the Active Directory database – that is, normally from the source computer to C:\Windows\NTDS on the target computer. Windows modifies the name of the file to show that a cloning process has taken place. Change the name back to DCCloneConfig.xml. Next, you can either create a new virtual machine and use the copied hard drive, or you can import the exported server with the Hyper-V Manager or PowerShell. When you import, select the option Copy the virtual machine . When you start the domain controller, it parses the DCCloneConfig.xml file and prepares itself for the cloning. You will also receive a corresponding message when Windows starts up (Figure 3). Figure 3: Windows Server 2012 cloning Active Directory on the new virtual domain controller.